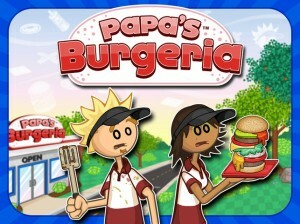 Papa’s Burgeria is a very interesting restaurant business game. In the game you will be transformed into a famous restaurant owner. Your store is selling burgers, hamburgers, pizza, … When customers ask, please write to the menu to remember easier. Then go to the kitchen to bake bread, add cream and other ingredients that customers require.